Do you always feel in a rush to get a healthy and quick dinner on the table? Lately this has been my challenge on the few nights that I am actually home and get to cook. I have been test driving a few Pinterest Recipes and have made a twist on one of the favorites I found called Korean Beef. We have made quite a few variations of it and is very simple to make. Since my husband has become quite the cook lately to help out, it is also one of his favorite recipes to make. In my last post I reviewed Organika's Coconut Oil in my Gluten Free Mango Banana Muffins recipe. 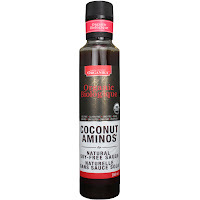 I decided to try another recipe with the coconut oil and also incorporate another product they sent me called Coconut Aminos which can be used as an alternative to soy sauce. Coconut Aminos is made from the sap of the coconut trees and is a valuable source of amino acids, minerals and ranks low on the glycemic index. I first used Coconut Aminos when I was doing a cleanse and was required to have items without soy and with low glycemic rankings. 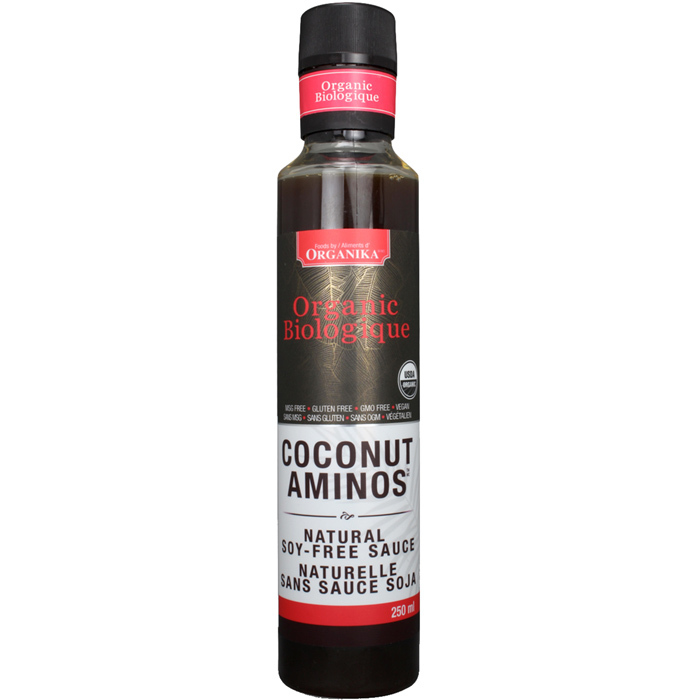 Organika's Organic Coconut Aminos made the recipe a bit sweeter with its subtle hint of coconut and without the saltiness of normal soy sauce. I may be a bit biased as coconut is one of my favorite flavors, but you can never go wrong with Coconut Aminos as a great gluten free alternative. Cook rice or quinoa in a pot until fully cooked. Meanwhile, melt coconut oil in large wok. In a small bowl combine garlic, salt and pepper, ginger, brown sugar, aminos and Siracha. Add mixture to ground chicken and cook on low heat. Add broccoli and peppers and cook for 4-5 minutes until vegetables are tender. 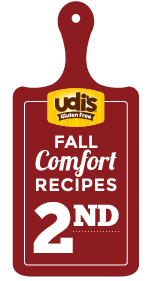 It is also optional to cook these items separately and serve on the side. Pour rice into large platter and then cover with chicken mixture. Garnish with green onions and additional Sriracha if desired. Enjoy! Also as a big shout out to my wonderful, helpful and supportive husband, check out his YouTube Kryllyk Video Game Channel.